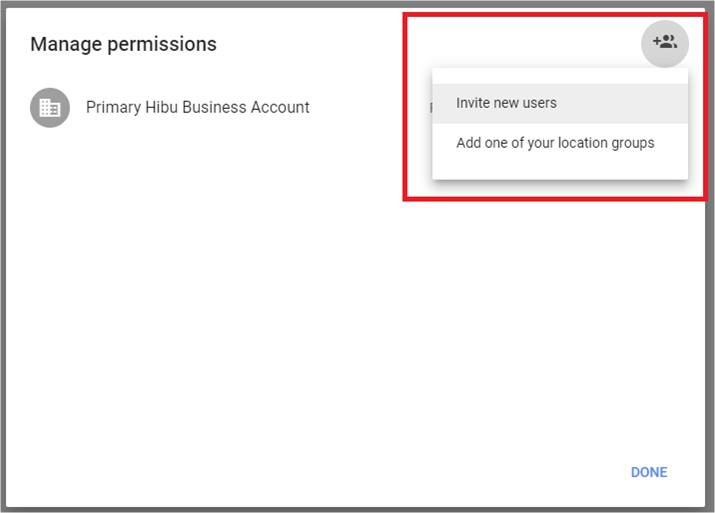 In the “+Add names or email addresses” field, enter 5514300819, being careful not to include any extra spaces at the front or back, and select the ‘Hibu Online Presence’ location group that appears. Select “Owner“ from the “Choose a role” dropdown menu and click “INVITE." 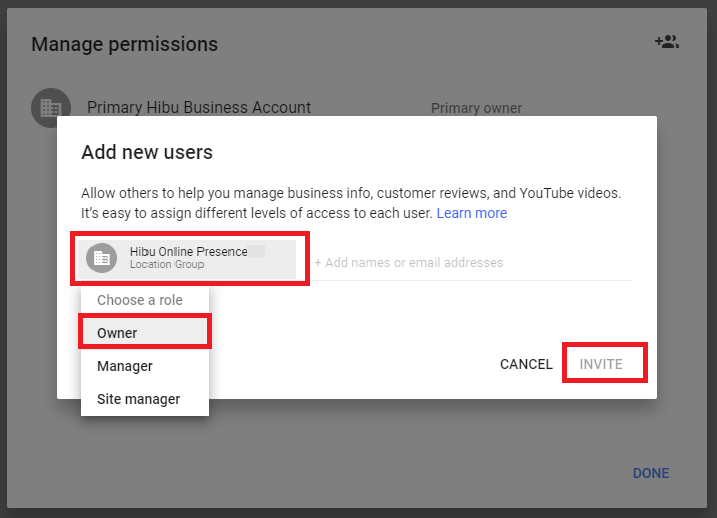 The user screen will then show that Hibu Online Presence was invited as an owner. 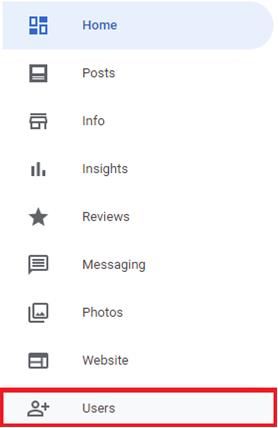 For more information about granting your Hibu SEO Team access to your Google My Business page, visit https://support.google.com/business/answer/3403100?hl=en.